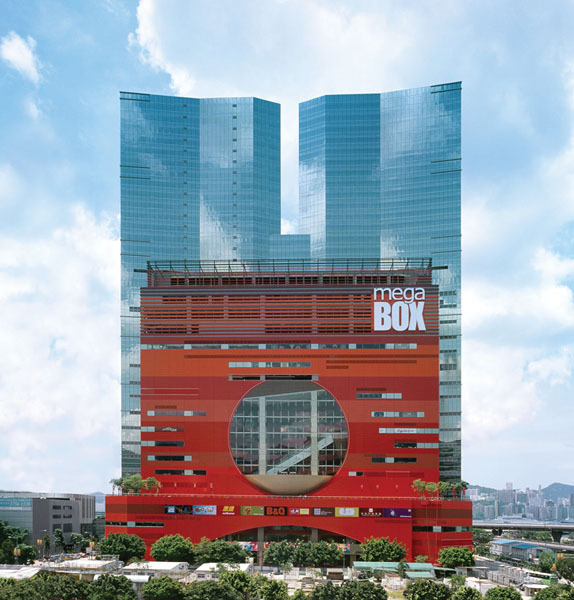 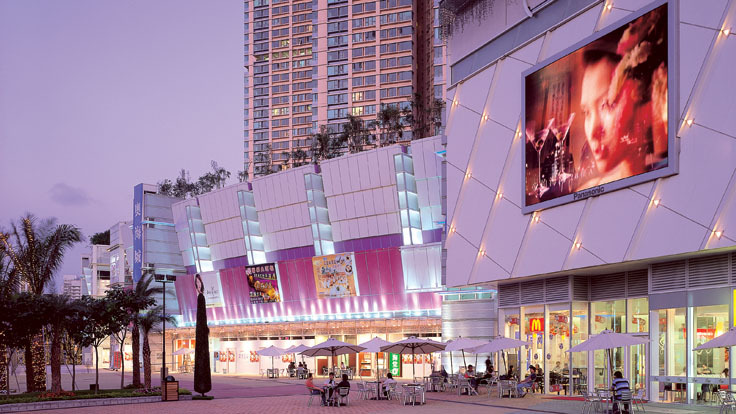 The Mega Box is an amalgamation of shopping, entertainment and office spaces set at a conspicuous waterfront site of Kowloon Bay. 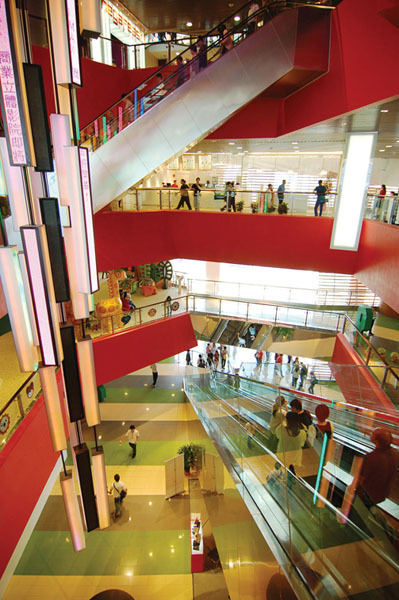 Looking from afar, the twenty storey shopping podium, aptly named as Mega Box, appears to form a single monolithic box. 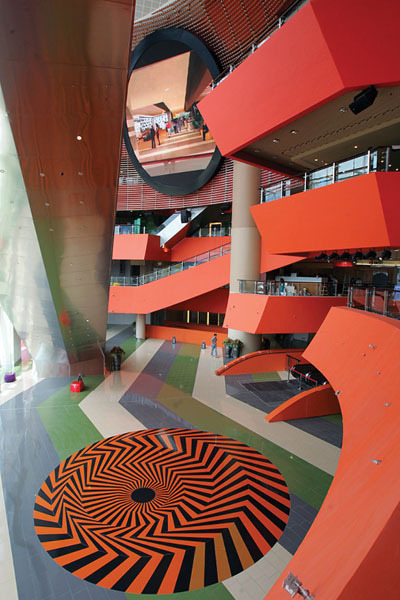  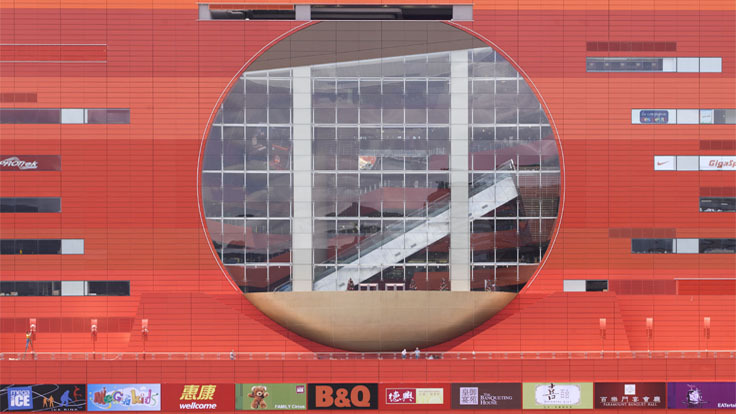 To break down the overall mass, 30 different tones of red are introduced to the façade. 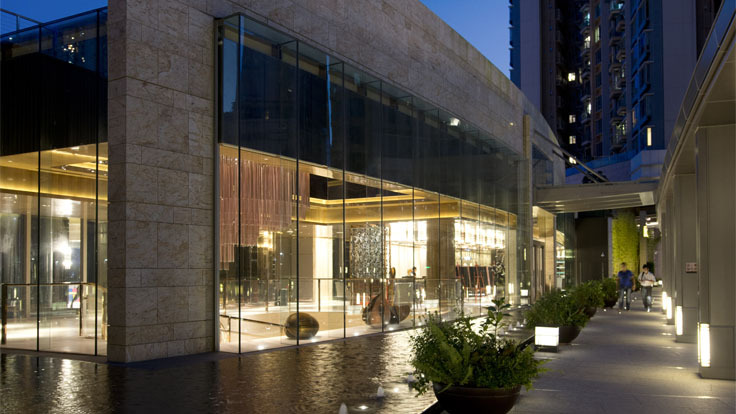 An expansive circular glass wall cuts through the front elevation, not only to add visual interest to the building, but also enhance interaction between inside activity and urban fabric. 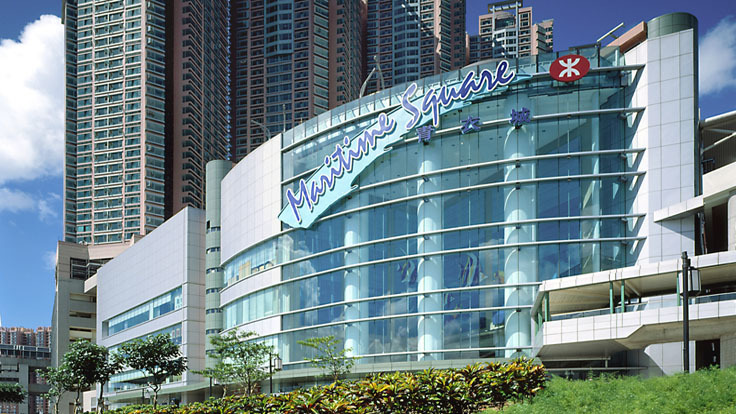 Perched high above on the shopping podium, the 15-storey twin office towers are clad in glass to reflect their different use, while inviting natural sunlight as well as glamorous sea view into the interior space. 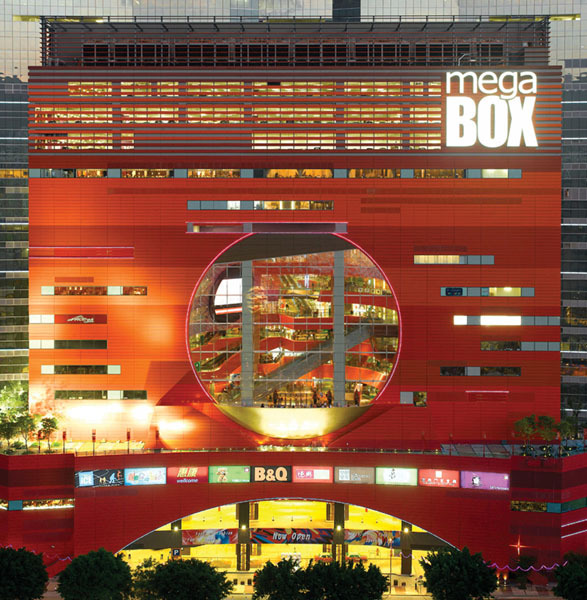 The architectural vocabulary of the Mega Box stands in stark contrast to the urban fabric in Kowloon Bay. 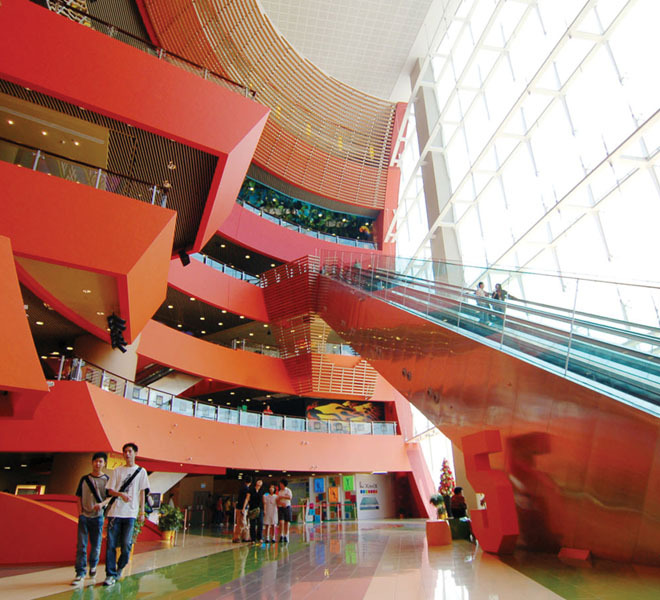 While the office towers are rendered transparent, the shopping podium is conceptualized as a massive opaque box in striking red, dominating the waterfront and creating an iconic new landmark.